I self-published a trilogy a while back. Will that negatively impact my chances of traditionally publishing the novel I’m querying now? If so, is there any way to counter this? Hello: I was wondering what sales numbers in the first few weeks and then the first quarter of a book’s release are consider good book sales for traditional publishing. What book sales are considered a true success for a debut in traditional publishing? Thanks! What do you think was the true key to success for self published authors like Hugh Howey vs the many who are struggling in self-publishing? Thanks! When we see a headline like so and so author has received a seven figure book deal, or a six figure book deal, what is the reality of how much that author is really being paid and when they are really receiving that payment? In traditional publishing. 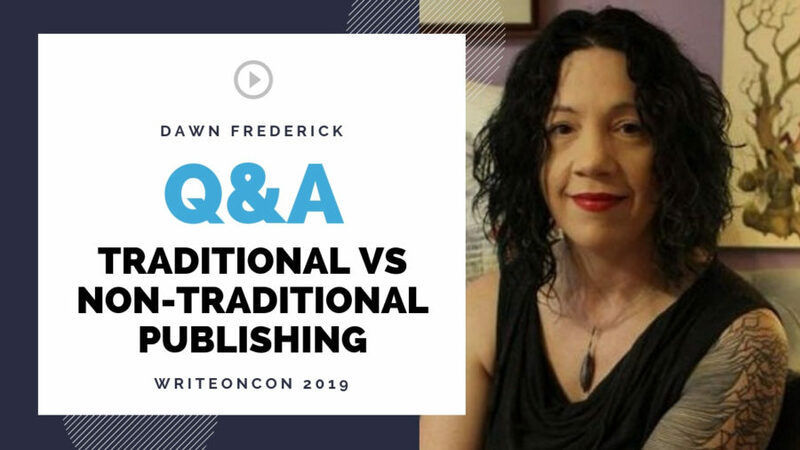 If a close friend or relative asked you about whether they should pursue the traditional publishing route at a big house vs self-pubbing – what advice would you give them? How can a literally agent help an indie author who is selling well and wants to seek out foreign rights opportunities? What’s the best way to approach an agent on this? If you had a client whose project didn’t sell while on submission, would you recommend non-traditional publishing to that client? Does the term ‘non-traditional’ publishing necessarily mean or equal ‘self-publishing’? What is the difference between indie publishing, self-publishing, and a small press publisher? If someone queries a book pretty heavily and is only getting rejections, should they pursue a non-traditional route or try again with the next one? Would self-publishing the first one hurt them? Several indies have told people to go indie solely because of the contract/copyright issues that have popped up in traditional publishing as of late especially. What are your thoughts on keeping the rights to your work and possibly losing it forever if you publish with a big five for example? Who are some successful indie publishers that you would recommend looking at for inspiration or comparison? Is a small press publisher still considered traditional if there are no fees or charges of any kind to the author? Are many of your clients’ hybrid authors? How do you and your clients decide which publishing method is best for each book? What influence does genre have on the method of publishing that’s best for a book? As an older writer of children’s fiction (70 yrs)…querying and trying the traditional method, should I give self-publishing a try after a year..or whatever..since I don’t have the time left that younger authors have? or should age even figure into it? Would a traditional publisher ever offer no advance? How much is it on the author to promote and sell their book? Do publishers set up author events or does the author take care of scheduling these? What qualities are important in a writer who’s considering the self-pub route? Under what circumstances would you advise an author to seek out small presses for publication rather big houses? If a book is sold to a traditional publisher, do they own the characters?